Bonair Skincare - This Korean Skincare brand uses blue tansy flower extract in all their products to hydrate, soothe, and repair dry skin! The products are very reasonably priced and they really help relieve dry patches and inflammation from dry skin. It really helped during the transition between winter and spring, as my skin did not act well to weather fluctuations and the cold. Check out my reviews for the Blue Smoother Oil, here and Blue Smoother Cream here. La Roche Posay Thermal Spring Water - This refreshing aerosol water spray gently mists your face with nourishing and refreshing thermal spring water. I love using this prior to serum and moisturizer application for a boost of hydration and to help my products absorb better. Its amazing how a simple spray of water can instant boost your mood and complexion! La Roche Posay Cleansing Micellar Foaming Water - I have been loving this foaming cleanser because it smells refreshing and it is very effective but doesn't dry out or strip my skin! The light foam really melts and removes makeup and dirt that is deep in the skin. It makes my skin feel very clean, hydrated, and soft after using this cleanser. Mamonde Sleeping Lip Mask - I have been using this every night for the past month and my lip have felt incredibly soft and smooth every morning! This has a very balmy and cushion-like bouncy texture that feels so good on the lips. It's very hydrating and has a very mild fresh fragrance. This is one of the best overnight lip treatments I have ever used and it is extremely affordable! Check out my full review here. One Over One Chiaroscuro Cream Color - This glossy creamy duo is basically the all natural and organic dupe for Tom Ford Shade and Illuminate! Don't believe me? Check out my review and swatches here. While it is a great cheek product, I have actually been loving it on my eyes! Because it is natural and organic, it doesn't irritate my eyes and it provides the chicest glossy bronze glow to my eyes! I feel very runway-chic and summer ready with a slightly grungy bronze glossy lid. Plus, it's super quick and easy to look polished because I just swipe this all over my lids and add mascara! Marc Jacobs Dew Drops Coconut Gel Highlighter in Dew You? - I have been quite behind on getting this cult classic highlighter that everyone raves about and I can finally see why! The soft gold shade and intense glow is everything you need to be summer-ready! It makes you feel like a golden goddess and it can be used so many ways because of it'gel formula! Marc Jacobs Scandalust Palette - I started pulling out this palette after I bought the Enamored with Coconut set and I wanted to create a Marc Jacobs look. After that first time, I have been constantly reaching for this palette. There is one particular shade that I really love and have been using consistently, it's "At the office"! I know, the most boring looking shade in the palette! It even has a name that indicates that it is boring but it's just such a beautiful basic matte shade that it can be incorporated into any look! It is a soft matte light brown with mauve tones. It's not quite pink and not quite brown but it makes the most beautiful soft and feminine crease shade! Anyways, I have been using that palette as a whole lately but that particular shade deserved a big shout out! Tom Ford Lip Lacquers - These liquid lip products come in 3 different finishes and 18 different shades! I have to say I am incredibly impressed with the longevity of these lip products and the pigmentation is so intense! The mattes are the least comfortable but not a bad formula by any means. I think the metal formula is by far the most unique and beautiful finish! They don't have chunky glitters but a lot of fine shimmer that makes the finish a cool vinyl shine! Check out my swatches and review here. Dior Addict Plump Lacquers - These lip lacquers are impressively hydrating and have a beautiful balmy texture! They come in many colors and three fun finishes! I really love the glitter finish ones because they are so unique but the glitter shades do get patchy as you eat and drink. These have a pretty decently long wear time and really smooth our your lip lines and texture! The ones without glitter are also beautiful and they give your lips a jelly-like look! Check out my swatches and review here. Winky Lux Strobing Balm in Lit - This product is a more pigmented version of the Tom Ford Shade and Illuminate Highlighter, It looks very light in the pan but sheers out to be a beautiful glossy glow! It really gives you the off-the-runway glossy glow without looking overly greasy or wet. It doesn't have a sticky or tacky texture either! NYX Professional Makeup Hi Definition Concealer - These concealers offer amazing coverage but a lightweight and natural finish! The texture blends into the skin beautifully and looks so natural but covers imperfections, pigmentation, and under-eye darkness so well! It doesn't crease and it lasts on the skin very well. I am very impressed with this formula and I expect I will be buying these after I use mine up! NYX Professional Makeup Hi Definition Powder - This pressed powder is incredibly lightweight and totally invisible on the skin! It really helps to set all you makeup without looking powdery or heavy. It still maintains the glow from your base products, which I really love! A little goes a long way and the product can be easily picked up, you don;t have swirl your brush in the pan. Just a light tap and you can gently press this powder all over without causing flashback. NYX Professional Makeup Wonder Stick Contour and Highlight Stick - I have the shades Universal and Medium and I can't decide which I like more. They both work really well for my skin tone and it depends on how I'm feeling that day. The contour has a cool tone but still a touch of warmth that really adds the touch of glow you need in your complexion. The highlighters are sheer and glossy, which I adore! They are very easy to blend and stay on quite a long time. I love anything in stick form like this because it just makes it so quick and easy to apply! 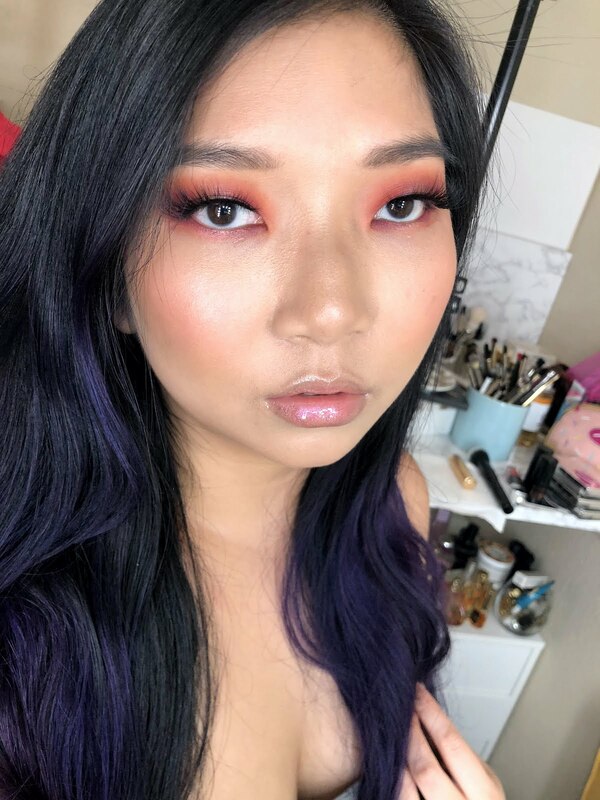 Charlotte Tilbury Flawless Filter - I know this is a repeat from last month but I literally have not stopped using this product since I got it back in January! It's just been the first thing I reach for in the mornings because it makes my skin look flawless and and glowing with very little effort! I just loving using it on it's own because it creates a flawless finish and the glow is stunning. I just add just a touch of concealer where I need it and a bit of powder and I'm done! My only gripe with this product and it has been from the beginning, is the applicator. Read my full review here to learn more about this product. Marrakesh Hair Products - I honestly didn't think I'd like these products as much as I do. I received them through a PR agency for a campaign and every since, I haven't stopped using them! I use the leave-in treatment every time after I shower, it really helps my long and tangled hair brush through easily and leaves it feeling very smooth! Then I use the hair oil in the ends and lengths of my hair for shine and additional hydration, it doesn't get my hair all greasy like other oils. Finally, I like to use the styling cream while my hair is damp too, to smooth down flyaways and manage my untamed hair. 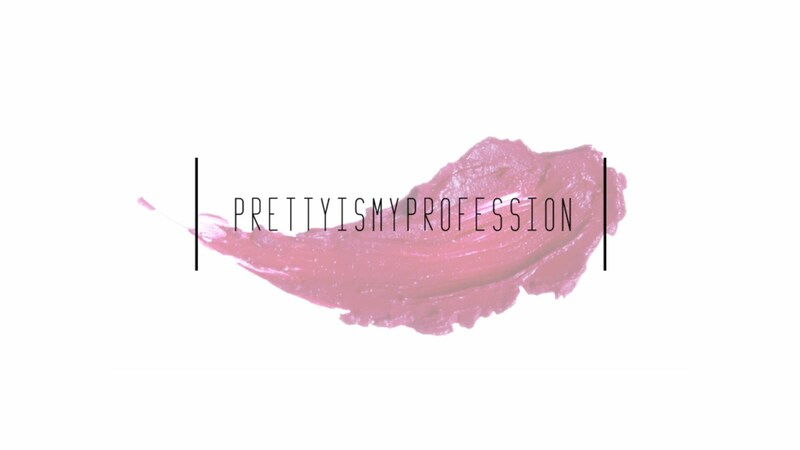 Their products are totally worth checking out! Tom Ford Eau De Soleil Blanc - I can't get enough of this fragrance since we're officially in spring and summer is just around the corner! It has a beautiful burst of citrus that develops into a rich beachy coconut scent. Its become my signature spring fragrance! Check out the notes in my full review on this fragrance here. NYX Professional Makeup Pro Fan Brush - When I first received this brush I was a little puzzled about what I was going to use it for because it's so dense. But then, I had a realization that it is the perfect brush for bronzer! This dense and large fan brush is the perfect brush to apply your bronzer all over for some color or you can use it for more precise application and sculpting! I LOVE scuplting with bronzer, so I immediately fell in love with using this brush for my bronzer and because the bristles are so soft, it gives you this airbrushed application!